Introducing something special for the finest palates: the Gourmet Bliss package. 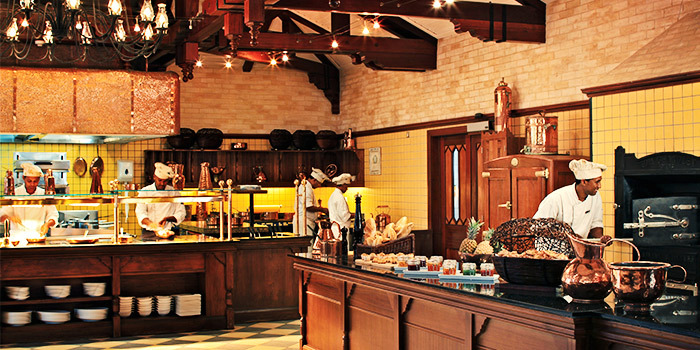 Heritage Le Telfair has actually designed a special gourmet pass that will allow guests into a world of flavours. Intimate dinner in a 19th-century guesthouse, family gathering in a French brasserie or eating bare-footed in the sand… Visitors will make the most of their gourmet escape in a totally relaxing environment. Drinks, including wine and champagne, are included in the package! With the Gourmet Bliss package, guests can indulge in the vast array of delicacies available at the Domaine at any time of the day. From breakfast to dinner, including snacks and lunchboxes, Heritage Le Telfair makes a point to offer its guests a unique experience in an exceptional environment. Cooking is part of the Mauritian lifestyle and cultural wealth. With European, African and Asian influences, the local cuisine has evolved into a rich and unique blend. Gourmet Bliss was designed for Heritage Le Telfair’ guests to fully experience this highlight of Mauritian culture during their stay. Visitors will have the opportunity to appreciate the diversity of international influences and ambiences in Heritage Resorts’ twelve restaurants: Annabella’s, Le Palmier and Gin’ja at Heritage Le Telfair; Balafon, Zafarani, Infinity Blue, Amafrooty & Boma at Heritage Awali; Heritage Golf’s Club House; Cyan and Coast beach restaurants at the C Beach Club; and the Château de Bel Ombre. Tropical wedding on the beach is all soon-to-weds could dream about. Veranda Resorts gives its guests the opportunity to stand in the sand on one of the island’s most beautiful beaches while they say “I do”, and offers to organise the event from A to Z through the expert services of a wedding planner. 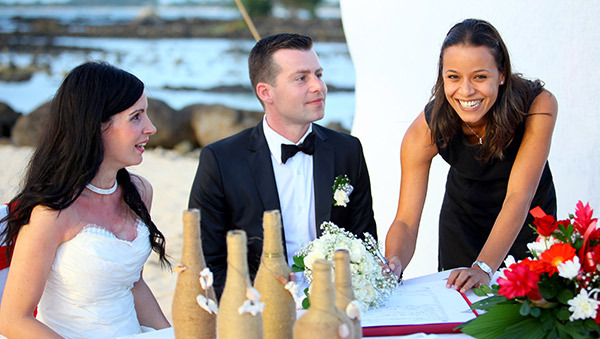 Wedding, renewal of vows, symbolic wedding… Many couples wish to take their vows in an idyllic setting, and with simplified procedures, Mauritius stands as an ideal venue for their dream wedding! Veranda Resorts gives couples the opportunity to celebrate their love in one of its four 3*+ hotels, surrounded by white-powdered beaches and turquoise sea as far as the eye could see… and Véronique Laurent, our dedicated wedding planner, will make their dream come true! This customer relations expert has acquired significant experience in 5* hotels in Seychelles, before she started focusing on wedding planning at Veranda Resorts. 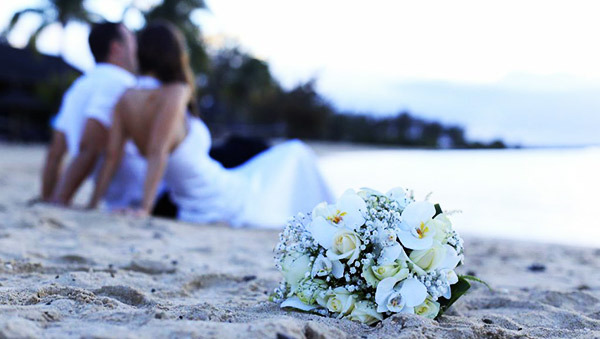 Since February 2014, she has been working on a unique concept for 3*+ hotels in Mauritius: future brides and grooms now receive complete assistance from a dedicated specialist for the organisation of their wedding in one of our four hotels. Her role is to advise our guests prior to their arrival and help them choose the wedding package that best meets their expectations. They first choose between a classic and a “creole” theme, then decide on optional services available at Veranda Resorts: flowers, make-up, entertainment, food and beverages, photos… Everything is thought out to the smallest detail to fulfill the couple’s wishes and make it the best day of their life! Patient and helpful, Véronique makes it a point to add substantial value to each wedding. Though she believes it is the couple that brings magic and beauty to this precious moment, newly-weds like to think that her outstanding organising skills and creativity does make a difference! From venue decoration to the bride’s hairdo, she sees to every detail and makes sure her guests have a hassle-free stay and a wonderful experience on the D-Day. Everything is thought out to the smallest detail to fulfill the couple’s wishes and make it the best day of their life! Veranda Grand Baie, Veranda Pointe aux Biches and Veranda Paul & Virginie (‘adults only’ hotel since the 1st November) are located on the most beautiful beaches of the North coast, while Veranda Palmar Beach faces the splendid Eastern lagoon. Each of the four Veranda Resorts hotels offers a unique backdrop for fabulous wedding celebrations.